Reputation management is an important part of doing business in the modern world. Consumers can voice their opinions and broadcast their thoughts, literally, to the entire world in just a few minutes. What your customers have to say about you is just as likely to come up in search results as what you have to say about yourself. Depending on where customers are talking, their words might even come up significantly higher than yours. Not keeping up with how your reputation is doing can be a fatal mistake. The task itself can be made a little bit easier when you have a plan, or better yet, a routine to help keep things under control. Here I’d like to give you a few tips that should help you to get a handle on the basic process of monitoring and managing your online reputation. When most people think about search engine optimization, they think about getting high positions in search results in order to increase website traffic. That is, of course, the main goal. Good SEO can have a secondary effect as well though. When you control the top search results for your company name, it leaves less room on the results page for content that is not under your control. The effect is that anyone searching for information about your company is more likely to see something you want to present, rather than something coming from a third party somewhere else. This means your site should not only be optimized for keywords that bring in your target audience, but pages should be optimized with the company name and the names of important products as well. It is important to search regularly for what is being said about your company. Search for your company name and any specific products you sell. While some consumers will share their good experiences, people are generally much more motivated to share bad ones. You should make it a priority to respond to any comments you find, good or bad. Let your customers know that you are interested in what they think and that you are working to make or keep them happy. In the modern world of social media, word spreads fast and not responding to customers online can be just as bad as not answering the phone when they call for help. Social media has become one of the biggest engagement points between a brand and its customers. Content spreads quickly and has a big pull with consumers because of the personal recommendations associated with sharing. It is absolutely essential to create a sense of community on your social media pages. 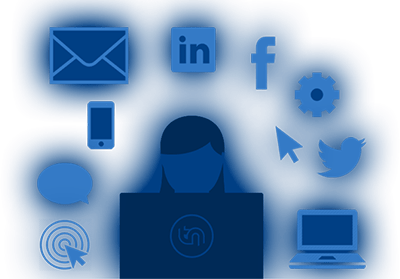 The most important point to remember is that social media sites are not static web pages and they are not completely under your control. They are not just an advertisement. They are a dialogue between your company and your customers or potential customers. Users here do not want to see a wall of ads telling them why they need you. They want a conversation. They want engagement. They want something more personal. Most importantly, they want something they can share with others. Absolutely nothing looks worse than a supposed professional arguing with an unhappy customer, making sarcastic remarks and expounding upon all the reasons why he is right and the customer is wrong. It doesn’t matter how rude, ignorant or unappeasable the person may be, arguing with them in an online space will sink your reputation like a rock, even if you are right. Other people are paying more attention to how you speak, not necessarily what you say. Don’t ever get into an argument with someone online. You must maintain your composure and your professionalism at all times. If you were standing in a store yelling back and forth with an irate customer, what do you think anyone else in that store waiting to buy something would do? Always remember that when you are online, there is an audience watching. While you might be dealing with one specific customer, you should always keep in mind that what you say or do has a great effect on that audience as well. In the beginning, you might be able to manage things for yourself. As your company and its reputation grow, however, the management process will become more than a full time job. Hiring a reputable firm to handle all of this should be a planned part of your business strategy from the beginning. If you or your in-house staff are already having trouble keeping up with tracking and maintaining your reputation, it’s already too late. Actions and responses need to be fast. An unhappy customer isn’t going to change his mind because you offered to fix or replace something two months after the problem occurred. Worse yet, the audience has now seen that it took you two months to respond. Countless potential customers have already turned their attention elsewhere and they won’t be coming back. Many won’t even stick around to see that you did, in fact, respond. They’ll just assume you were never going to answer. Actions, as they say, speak louder than words. Do you have a plan for your company’s reputation management strategy? Get in touch with us today and let us show you how an effective strategy can help you to succeed!